entrepreneurs get what they want out of their business. 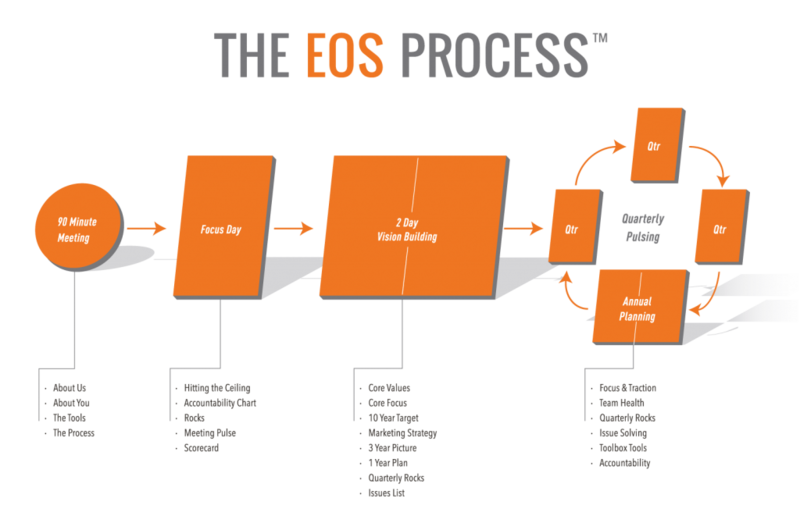 The EOS process is a two-year guided journey where we teach you the tools you need to guide your business to success. We dive into critical numbers, executive responsibilities, set priorities, resolve initial issues and begin improving company communication and accountability. 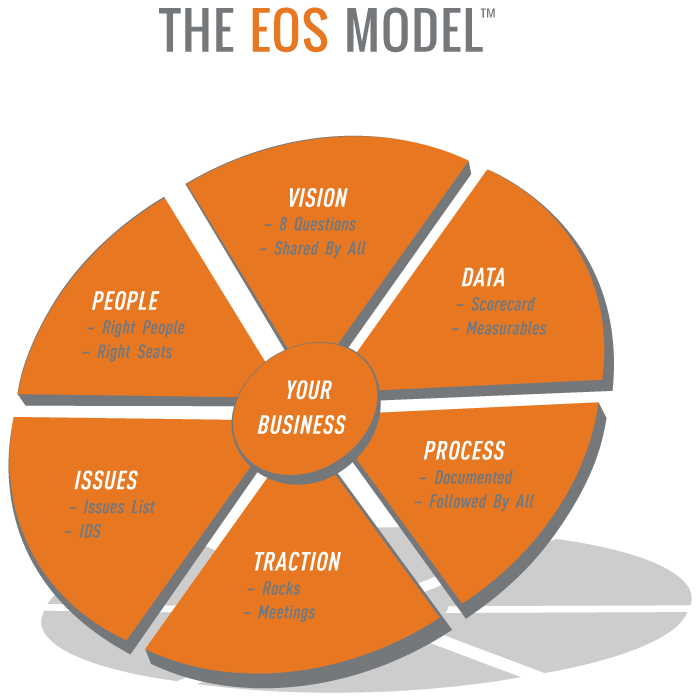 This session continues using the VTO to complete your company vision clarify your Marketing Strategy, 3-Year Picture™, 1-Year Plan and priorities for the next 90 days. As your leadership team has now gained many of the tools they need we move into continuing the Traction we have now built within your company starting with a Quarterly Session. Here we sit with your leadership team every 90 days to evaluate their performance, resolve any issues impeding progress, refocus priorities and continue to measure growth and improvements every 90 days. Our Annual Sessions are two-day sessions where each year we continue to build health and update the business vision while planning for the next year and following quarter. This process has proven results in building a healthy, focused leadership team and organization. Stop spinning your wheels. Start building Traction®.